I know most people love to make baby blankets when a new baby arrives in the family. I, on the other hand, love to make baby hats. 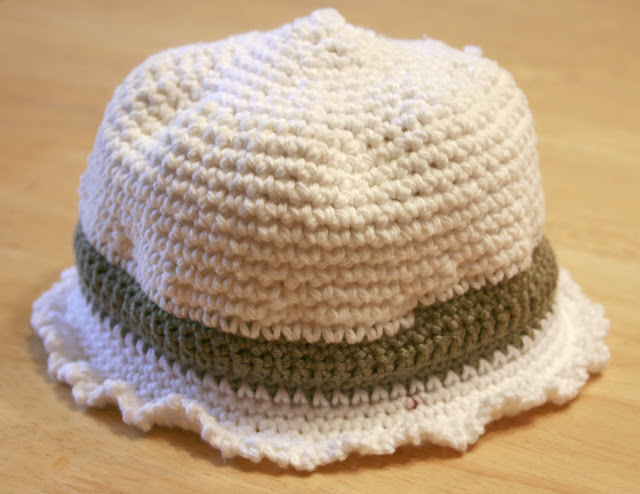 This one I made for our newest family member Elizabeth in white organic cotton with a thin green bamboo yarn stripe. Hopefully it will coordinate with all of her spring apparel.